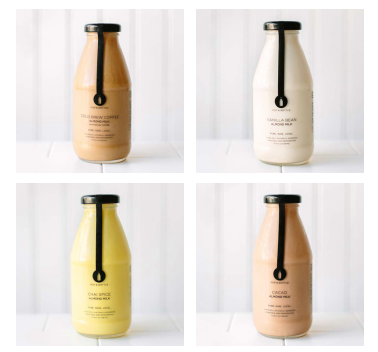 Presenting a delicious range of pure grab-and-go almond milks. No preservatives, thickeners, emulsifiers or additives. Cold pressed and cold pressured to retain maximum nutrition and delicious flavor. Source of antioxidants, vitamins, minerals, plant protein, dietary fiber, and omega fatty acids.